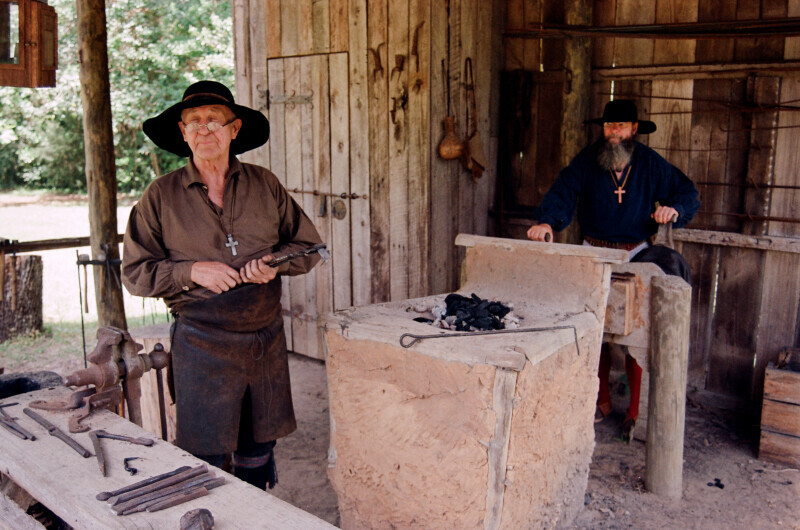 The inside of the reconstructed blacksmith's shop at Mission San Luis. Two costumed reenactors utilize the tools of the trade in a demonstration. WARNING: You are about to download a 45.7 MB TIFF!